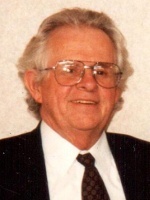 ALBANY – Michael J. Kelleher, 75, of Albany, died Tuesday, April 2, 2013 at the Albany Medical Center Hospital. Michael was born to Cornelius F. Kelleher and Mary Murphy Kelleher in Schenectady, and he lived there until moving over 30 years ago to Menands and later Albany. He was a graduate of Linton High School and Siena College, and taught Biology at Vincentian Institute in the early 1960’s. He then was employed by the New York State Workers Compensation board for over 30 years. He was a member of the Knights of St. John in Schenectady, and a member of the Watervliet Elks Lodge #1500. Michael also loved to travel, especially to Ireland, where he and his wife visited several times. He also was a devoted fan of the New York Giants and Yankees. Michael is survived by his beloved wife Mary E. Dollard Kelleher; his stepdaughter Rhonda Gilliland (Basil) of St. Paul, MN; his sisters Maureen Selle of Las Vegas, NV, Sheila Kelleher of Rotterdam, and Sr. Eileen Kelleher, SNJM, of Albany; his brother Brian J. Kelleher (Gail) of Wilton, NY; his aunt Anna E. Murphy of Mesquite, NV; and his grandchildren Justin and Zachary Gilliland; six nieces and nephews and twelve grandnieces and grandnephews including the lights of his life Meghan and Kyle Dollard. He was predeceased by his Parents and his Nephew Sean Kelleher. Funeral services will be held in the Hans Funeral Home, 1088 Western Ave., Albany, Monday morning at 10:00, and from there to Christ the King Church, Sumter Ave., Guilderland at 11:00. Relatives and friends are invited, and may call at the funeral home Sunday from 3-7 p.m. The parish family of Christ the King Church will gather in the funeral home at 3:30 pm Sunday for a service of prayer and remembrance. All are welcome. Interment will be in Our Lady of Angels Cemetery, Colonie. The family suggests memorial contributions to the Fisher House Foundation, Inc., 111 Rockville Pike, Suite 420, Rockville, MD 20850-5168 with donations directed to the Fisher House at Albany. To leave a message of condolence for the family, send a sympathy card, or obtain directions to the funeral home, please visit www.HansFuneralHome.com. Harvey & I are both so sorry Mary. He sure will be missed. Our sincerest condolences. Our sincere condolences to Mary and the Family. I always considered Mike a mentor and a role model. Always positive, always supportive. Mike knew how to treat people no matter what the situation. He was surely one of the good guys. I will always have fond memories of Michael. I was in Mr. Kelleher’s first Biology class in VI back in 1961. He was a good and memorable teacher! I’m sorry for your loss. I am so sorry for your loss. Mike was a great guy and you were such a special couple! I know he will be missed! It’s been many years but I have great memories of all the fun times we had throughout the years! !